Perhaps you have changed internet service providers or simply changed routers. Or for whatever reason you might have had, you have now ended up with a new AT&T U-verse router and are trying to set up a new network. 1. Hook up your router to your laptop or desktop via the Ethernet cable: just plug it in your PC or laptop’s LAN port! - You can actually access this via Wi-Fi as well, or even through your phone, but we suggest doing it through Ethernet as it’s the most reliable, stable method. 2. Once you power up your devices, you will see a network named “ATTXXXX” or “2WIREXXXX” (the 'X's indicating variable characters). If you’re on cable, your device will automatically connect to the router. 3. If connecting via Wi-Fi, try logging in with the default password printed on the router. 4. Browse to http://192.168.1.254 within your web browser. 5. Unless you have previously entered a password, leave it blank, and hit return. If this doesn't work, type in the password printed on the router. Once you set things up, the AT&T’s U-verse service is God’s gift to modernity: a hassle-free system that gives you not only high-speed internet access, but digital television and phone access too! (Say goodbye to separate phone and cable bills). Well, look no further—this article will provide you with instructions on how to set things up, in the simplest way possible. Chances are you won’t even have to go through that manual, as we’ve done it for you already. This section will show you how to log into your AT&T U-verse router, and then you can start tweaking your network the way you want to. If you are using the 3600HGV router or any routers that come in two boxes, the password may be printed on the other box installed outside your house. If it isn’t there, contact AT&T. If you’re on MAC, you may have to type in a “$” sign at the beginning of the password. TIP: In some cases, you might end up with a previously used router and the default password might have been changed. In this case, try resetting the router. 1. You can find the recessed reset button at the back of the router. 2. Just take a pen or something with a pointy end, press for about 15 seconds or so, until the router lights blink off and on. 3. Then try logging in with the default password printed on the router. 4. If errors still persist, contact your AT&T service person. A full hard reset is worth a shot if you don't have any luck above. What's the Uverse IP address? Open your web browser. In the address box, type in “http://192.168.1.254” (without the quotes). This is the default IP address. If it has been changed, a router reset should do the trick. 1. If you are on windows, press the Windows button on your keyboard and “R” at the same time. 2. Type “cmd”, without quotes, at the command line of the window that popped up, and then press the Enter key to open the Command Prompt window. 3. Type “ipconfig” and press the Enter key. A bunch of information about your adapter will show up on your window. 5. This address what you’ll be typing in your web browser. If you are on MAC, select “System Preferences” from the Apple menu. Click “network”, then select the connection you are currently on. Find the address entry under “router”. That’s what you are looking for right there. The AT&T U-verse service supplies its subscribers with a modem with a built-in router. However, the AT&T router is only 802.11n 2.4GHz, which means you will most probably want to use your own router with the latest 802.11 ac Wi-Fi capability, in order to transfer large files through Wi-Fi with ease and stream the latest episodes of your favorite series in HD. In order to do this, you’ll have to disable the built-in router and use the AT&T U-verse with your own router. 1. First, you plug in your own router by plugging in an Ethernet cable into your router’s WAN port to the AT&T router’s LAN port. 2. Open your browser and type in the IP address. The default IP address is “http://192.168.1.254”. You will now be able to configure the U-verse router settings on the page that just opened. 3. Locate “wireless setting” under Key Things to Do, then find the Wi-Fi setting and disable it. Congratulations! You have now successfully disabled the U-verse modem’s built-in router. 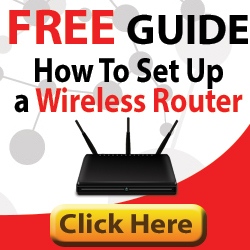 The next steps will differ depending on what brand of router you are using. However, the process should be similar throughout all routers. We do receommend checking out your router manual or online documentation if the below steps don't work. 4. Enter the IP address of your router into your web browser. (If you don’t know what it is, refer to the previous section on how to get your IP address). 5. When the configuration page opens, locate your router’s settings. 6. Go to your router’s network section, and locate the option for DHCP or Bridge mode. Since you will be connecting your router to a modem with a built-in router, you will have to bridge the two. By doing this, you are allowing your router to use your AT&T modem’s IP address, enabling it to broadcast Wi-Fi in place of the built-in router you just disabled. Now grab that laptop or mobile phone. You should now be able to see your Wi-Fi connection through your device. If you are successful, you should now be able to connect and access the internet?! We hope this article has been instrumental in solving your network dilemma—it has been written with good techy vibes with all the intentions of helping out and generally making your life easier. Feel free to share this article if you like it, or want to help others.